Today, to celebrate the beginning of a New Year, I’m going to spend the day reading my current Kate Collins‘ Flower Shop mystery. I want to try to be all caught-up by the time Flower Shop Mysteries: Mum’s the Word premiers on the Hallmark Movies & Mysteries channel on January 17. (Of course, with my always-a-few-books-behind syndrome, this might be the first resolution of the New Year that I don’t keep!) I hope ALL of you are able to spend today just the way you want to, and that this New Year will bring you much happiness. Happy New Year to you and your family as well as to all the readers of this blog! May we all find joy, peace, strength and time to read all the wonderful cozies! Kimberley, I second your hope: “May we all find joy, peace, strength and time to read all the wonderful cozies!”? Valerie, I’m sorry they aren’t showing these Hallmark movies on the regular Hallmark channel. What a drag that they think they only belong on their new, sister channel. Maybe they’ll eventually make their way over to the original Hallmark channel. There are very few Cozy Mystery series I keep up to date on. All of my good intentions go right out the door when I find a new-to-me series that sounds really promising. Then I usually end up adding that series to my favorite authors list, and end up not-caught-up with my new series either! Happy New Year! Look forward to your updates. I so appreciate your blog. 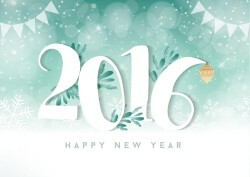 I hope your 2016 is the best year yet! tnquilt, I’m glad you’re enjoying the blog, and hope to see more of you here! Happy New Year to Danna and all the cozy mystery readers. 2016 sure looks like a good year for books and the new mystery series on the Hallmark mystery channel. Sheila in CT, who would have guessed that the Hallmark Movies & Mysteries channel would start showing some of our favorite Cozy Mystery series? I get quite excited about seeing how they will treat a series. Danna; i am like you in that I wish time wouldnt fly so fast. I can’t keep up! Especially with my reading and crafts. I start work on Monday the 4th but will be done April 18. As well as the care of my rescue puppy and dad (who is no picnic at 89) to care for as well. So I look forward to your blogs that I follow very closely. You and hubby, family and friends take care and God Bless. LIke tnquilt says, I really feel that I’ve found a “family here” and am very grateful for all the inspiration and new authors I find from your recommends. Rob, I hope you find more time for your reading and crafts during 2016. What types of crafts do you make? My son and daughter think I should get serious and rescue a puppy, but I know how much time a puppy needs. Also, I’m glad you found us over here! Rescuing a cat or dog at any age is a great thing to do and I am so glad you did it, Rob! Danna, you and your dearest may want to call some rescue groups in your region to see if there are some well-behaved younger dogs available. Past the puppy year (s) and into the manageable years. Some people have to give up a dog for any number of totally unanticipated reasons. Malvina, I’m glad you dropped us a note >>> nothing wrong with “lurking” but it’s nice to hear from you, too. Thank you for the New Year greetings!? Susan, thanks! To you, too! Happy New Year!! I hope 2016 is good to you. I’m laughing at the “always-a-few-books-behind syndrome”. That’s me, too. Glad to know I’m not alone. Thanks for all you do! Linda MH, I’m guessing there are lots and lots of us in the always-a-few-books-behind syndrome club. This is one club I’d rather not belong to! Yes the years do seem to move faster and faster. … and my “writers to catch up with” list grows longer and longer. And a blessing to have this blog, Danna. Many thanks. and an abundance of blessings! MJ, thank you for the New Year wishes on behalf of ALL of us! Thank you so much, for telling us, that Hallmark will do a “Flower Shop Mystery”. I have become enamoured of Hallmark Ch. movies and etc. Lovely to know, they will be doing this too. Tessa, so glad you enjoy hearing about the Hallmark Movies & Mysteries mystery movies. Happy New Year to you! Melissa, I hope your 2016 is wonderful, too! My family and I fly to LA for a holiday at Disneyland next week. But for me I am writing out my list of books to check out when I hit your bookstores. Happy days!!! Oh I should say we are flying from Australia – hence the excitement over both the flight, Disneyland …and the bookstores. Andrea, what fun for you all. And you are going at a wonderful time of year >>> while school is in session over here. I’m sure you will have lots of fun!